Historical, romantic and always staring out to sea. A small collection of lighthouse photos. 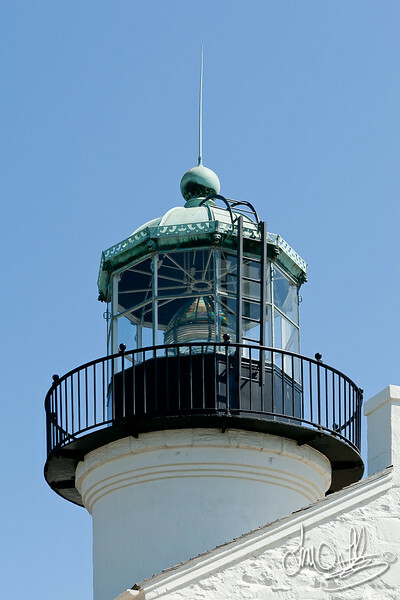 Erected in November of 1855, the original Point Loma Lighthouse is one of the original eight Cape Cod influenced lighthouses built along the California coast. For 36 years, the tower was a beacon at the entrance of the San Diego Bay. At 422 feet above sea level. The site was abandoned due to fog and low clouds and a new locations and lighthouse was built at the tip of the Peninsula (1891). It's often called the Old Point Loma Lighthouse for that reason.